The Countryman B2D Detachable S3 Connector for Sennheiser and Shure Wireless Transmitters allows you to interface your B2D lavalier microphone that has a threaded connection termination with Sennheiser SK50, SK250, SK3063,SK5012, and SK5212 wireless transmitters and all Shure wireless transmitters with a Lemo 3-pin termination. 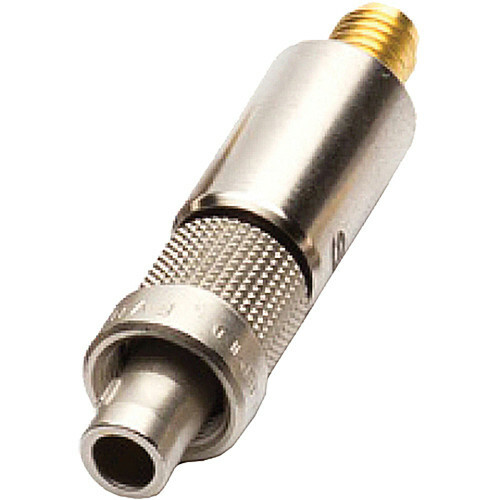 All Shure wireless transmitters with a Lemo 3-pin termination. Box Dimensions (LxWxH) 5.1 x 3.8 x 1.3"